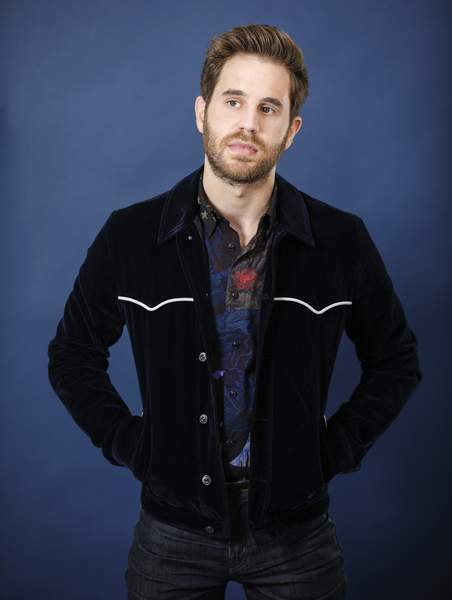 NEW YORK – Much of Ben Platt's debut album “Sing to Me Instead” is inspired by past loves, but he laughs at the notion that he could be pulling a Taylor Swift. The album doesn't just put his exes in the rearview mirror, it also puts distance between Platt and his Tony Award-winning role in “Dear Evan Hansen.” Little on the album is reminiscent of the songs from the hit Broadway musical; instead, the “Sing to Me Instead” is a more soulful project. It was important to Platt that his first album as an artist take him on a different path from the music he performed in his acting roles (He played the nerdy Benji in “Pitch Perfect” and its sequel). “I definitely wanted to make sure it was stylistically and sort of musically what I liked the most and what I love to sing,” said the 25-year-old, citing James Taylor, Carole King and Donny Hathaway as examples. Anyone coming to see the star when his concert tour kicks off in May and expecting to get a dose of “Dear Evan Hansen” take note: Platt won't be singing any of that show's songs on his tour. Universal Pictures – and Platt's producer dad, Marc Platt – have secured the film rights to “Dear Evan Hansen,” and he hasn't ruled out reprising the role on the big screen. “I know it's in development and being written. Of course, that would be a wonderful thing I would love to be a part of,” he said.